Being part of our local community is very important to us! 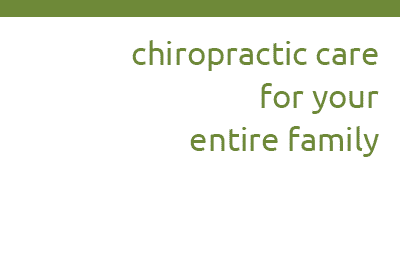 In the Fall of 2015 Dr. Kelly is launching a Pathways Connect group out of Willoughby Family Chiropractic. The purpose of Pathways Connect is to provide the resources and tools to introduce and foster the family wellness lifestyle in our community. Using Pathways magazine as the primary resource, we host groups in our offices where parents meet and discuss the inspiring articles and topics covered in Pathways. All attendees receive a complimentary copy of Pathways and we provide the group with talking points and resources to facilitate discussion. There are no fees or membership required for parents to attend Pathways Connect meetings. Any parent, patient, or community member is welcome to participate. You now have the opportunity to connect, learn and build solid relationships with other families concerned about conscious choice! Please contact us for further information on meeting dates, times and topics. We hope to see you there! Greener Pastures: BC Standardbred Horse Adoption Society Greener Pastures is an adoption society for standardbred horses retiring off the racetrack. These horses come to Greener Pastures quite uncomfortable and often overworked at the end of the racing season. Dr. Kelly is trained in animal chiropractic and goes out to Greener Pastures once a month to adjust all of their horses that are up for adoption. She believes that a healthy, comfortable horse is more likely to get adopted than a grouchy horse with a sore back! ThinkGenerously Dr. Kelly is part of a business network called Thinkreferrals Business Network. ThinkReferrals is a collection of local Business Groups which consists of individuals representing various businesses with common goals and interests. As a group they support a non-profit called ThinkGenerously which raises funds to support local charities and families throughout the year and many local families at Christmas time. Local Fundraisers We are happy to be involved in fundraisers for local groups, sports teams and charities! Please contact us for more information. If you are interested in having Dr. Kelly speak at an event please contact us for further information.